Normally, when the Christmas season starts falling upon us, I'll whip up a batch of Grandma Mac's bathtub egg nog until that holly jolly feeling is washed away with a good drunken buzz. This year, however, in addition to the egg nog, we bought a gingerbread house village kit. 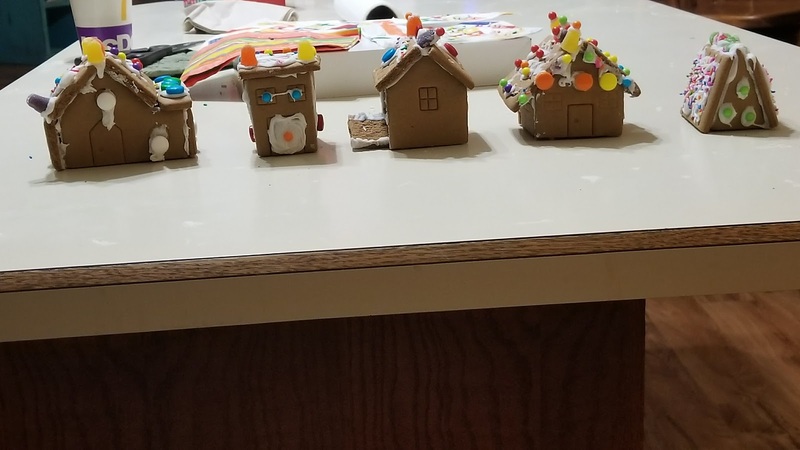 Each one of us, myself, my wife, and our three kids picked a house, put it together and decorated it. The result, unfortunately, ended up a bit below our expectations. Looks like a block of houses in the gingerbread version of Detroit.